Born in Prague (then part of the Austro-Hungarian Empire), Werfel was the first of three children of a wealthy manufacturer of gloves and leather goods, Rudolf Werfel. His mother, Albine Kussi, was the daughter of a mill owner. His two sisters were Hanna (born 1896) and Marianne Amalie (born 1899). His family was Jewish. As a child, Werfel was raised by his Czech Catholic governess, Barbara Šimůnková, who often took him to mass in Prague's main cathedral. Like the children of other progressive German-speaking Jews in Prague, Werfel was educated at a Catholic school run by the Piarists, a teaching order that allowed for a rabbi to instruct Jewish students for their Bar Mitzvahs. This, along with his governess's influence, gave Werfel an early interest (and expertise) in Catholicism, which soon branched out to other faiths, including Theosophy and Islam, such that his fiction, as well as his nonfiction, provides some insight into comparative religion. Werfel began writing at an early age and, by 1911, had published his first book of poems, Der Weltfreund, which can be translated as "the friend to the world" as well as philanthropist, humanitarian, and the like. By this time, Werfel had befriended other German Jewish writers who frequented Prague's Café Arco, chief among them Max Brod and Franz Kafka, and his poetry was praised by such critics as Karl Kraus, who published Werfel's early poems in Kraus's journal, Die Fackel (The Torch). In 1912, Werfel moved to Leipzig, where he became an editor for Kurt Wolff's new publishing firm, where Werfel championed and edited Georg Trakl's first book of poetry. While he lived in Germany, Werfel's milieu grew to include Else Lasker-Schüler, Martin Buber, Rainer Maria Rilke, among other German-language writers, poets, and intellectuals in the first decades of the twentieth century. Since I was first moved by his poems, I have opened (knowing well, I should say, it's a problem) the gates of my invisible garden [i.e., an imaginarium] to him, and now he can do nothing for all eternity that would bring me to banish him from it. Compare, if you will, a real person to an anecdotal one, a late book to an earlier, the one you see to you yourself; but I am not putting a value on a poet, only recognizing that he is one—and the way he is one. In the summer of 1917, Werfel left the frontline for the Military Press Bureau in Vienna, where he joined other notable Austrian writers serving as propagandists, among them Robert Musil, Rilke, Hugo von Hofmannsthal, and Franz Blei. Through the latter, Werfel met and fell in love with Alma Mahler, widow of Gustav Mahler, the former lover of the painter Oskar Kokoschka, and the wife of the architect Walter Gropius, then serving in the Imperial German Army on the Western Front. Alma, who was also a composer, had already set one of Werfel's poems to music, reciprocated despite Werfel being much younger, shorter, and having Jewish features that she, being both anti-Semitic and attracted to Jewish men, found initially distasteful. Their love affair culminated in the premature birth of a son, Martin, in August 1918. Martin, who was given the surname of Gropius, died in May of the following year. Despite attempts to save his marriage to Alma, with whom he had a young daughter, Manon, Gropius reluctantly agreed to a divorce in 1920. Ironically, Alma refused to marry Werfel for the next nine years. However, Alma, more so than with her first two husbands and lovers, lent herself to the development of Werfel's career and influenced it in such a way that he became an accomplished playwright and novelist as well as poet. They married on 6 July 1929. Werfel was forced to leave the Prussian Academy of Arts in 1933. His books were burned by the Nazis. 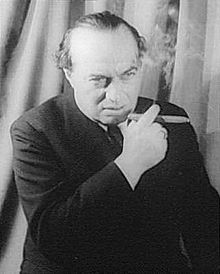 Werfel left Austria after the Anschluss in 1938 and went to France, where they lived in a fishing village near Marseille. Visitors to their home at this time included Bertolt Brecht and Thomas Mann. After the German invasion and occupation of France during World War II, and the deportation of French Jews to the Nazi concentration camps, Werfel had to flee again. With the assistance of Varian Fry and the Emergency Rescue Committee in Marseille, he and his wife narrowly escaped the Nazi regime, finding shelter for five weeks in the pilgrimage town of Lourdes. He also received much help and kindness from the Catholic orders that staffed the shrine. He vowed to write about the experience and, safe in America, he published The Song of Bernadette in 1941. Fry organized a secret crossing over the Pyrenees on foot. They went to Madrid and then Lisbon where they boarded a ship for New York, arriving 13 October 1940. Werfel and his family settled in Los Angeles, where they met other German and Austrian emigrants, such as Mann, Reinhardt, and Erich Wolfgang Korngold. In southern California, Werfel wrote his final play, Jacobowsky and the Colonel (Jacobowsky und der Oberst) which was made into the 1958 film Me and the Colonel starring Danny Kaye; Giselher Klebe's opera Jacobowsky und der Oberst (1965) is also based on this play. Before his death, he completed the first draft of his last novel Star of the Unborn (Stern der Ungeborenen), which was published posthumously in 1946. Franz Werfel died in Los Angeles in 1945 and was interred there in the Rosedale Cemetery. However, his body was returned in 1975 to Vienna for reburial in the Zentralfriedhof. ^ a b c d e f g h Jungk, Peter Stephan (1990). Franz Werfel: A Life in Prague, Vienna, & Hollywood. Translated by Anselm Hollo. New York: Grove Weidenfeld. ISBN 0-8021-1097-5. ^ Martin Buber, "Vorbemerkung über Franz Werfel", Der Jude 2, nos. 1–2 (April–May 1917): 109–112. ^ James Reidel, "Translator's note" in Franz Werfel, The Forty Days of Musa Dagh, trans. Geoffrey Dunlop and James Reidel (1934; revised and expanded, New York: Godine, 2012). ^ Robert Fisk, The Great War For Civilization: The Conquest of the Middle East, (New York: Knopf, 2006), 231." Wikimedia Commons has media related to Franz Werfel.